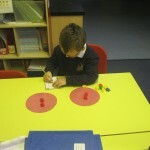 This week we have been learning all about fractions. 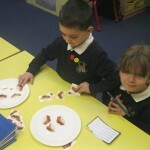 We have had lots of new vocabulary to learn: whole, half, quarters and fractions. 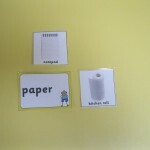 We have worked very practically this week to try support this new topic and learn how we can share objects, and numbers in to groups and share. 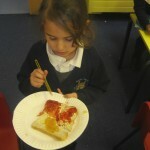 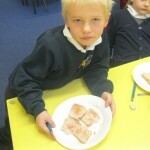 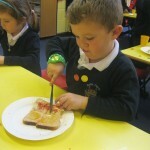 As part of our topic we folded shapes, made sandwiches, shared pizza’s and shared sandwiches. 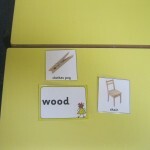 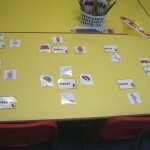 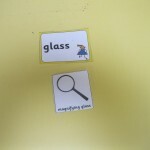 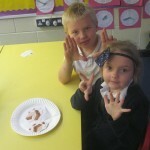 We had lots of fun working practically and can now find ½. 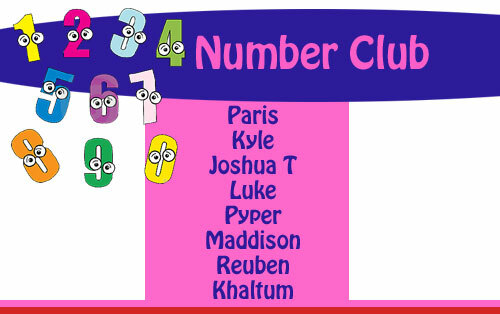 Well done to our super number club stars! 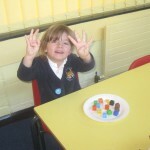 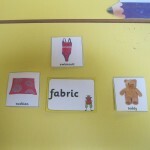 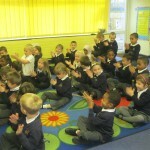 The children are practising every week and their subtraction and addition recall is really improving. 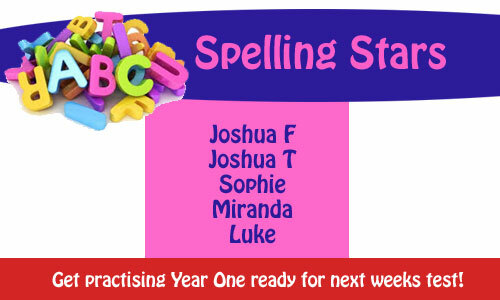 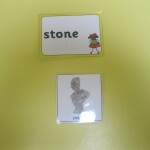 This week we had to learn our spellings really quickly for our spelling test today. 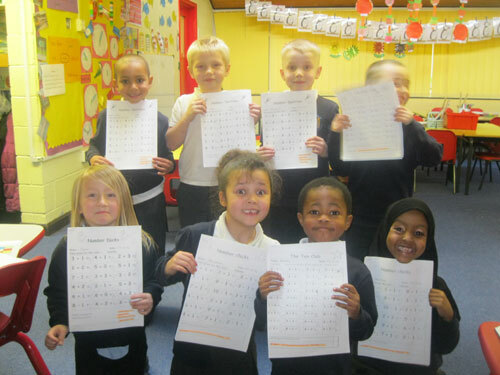 We all tried hard and some of us got them all right. 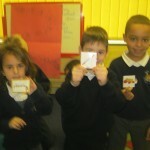 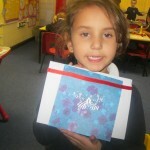 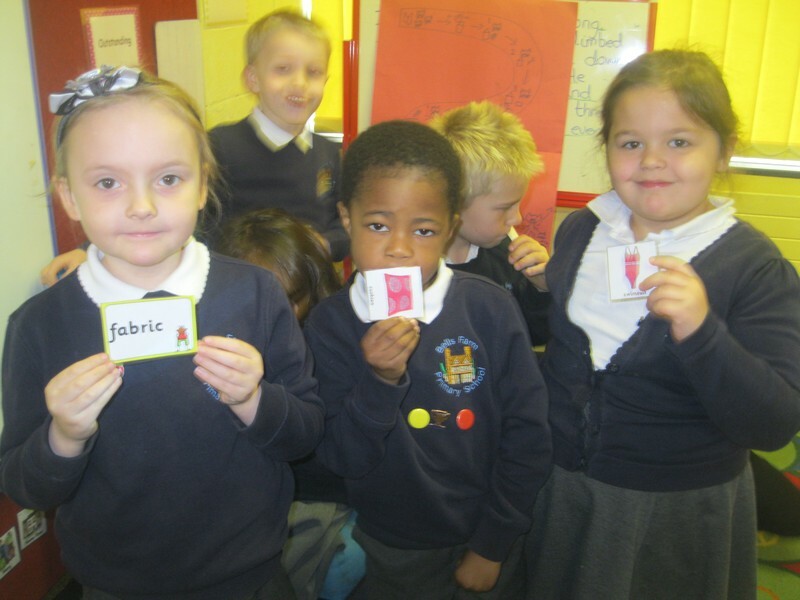 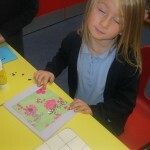 Today we finished our money week by opening a celebration card shop. 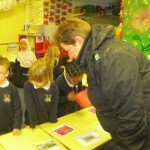 Our parents were happy to get out of the rain and we were happy to help them spend their money. 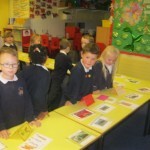 We really enjoyed selling our cards and handling money. 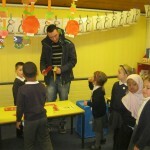 We were very good shop keepers, making sure people paid for their items and handing back their change. Mrs Jones has counted the money after school and the shop raised £29 profit. 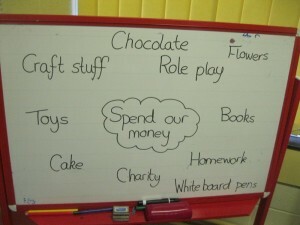 The children have been discussing how we could spend the money this afternoon, sharing some very good ideas. 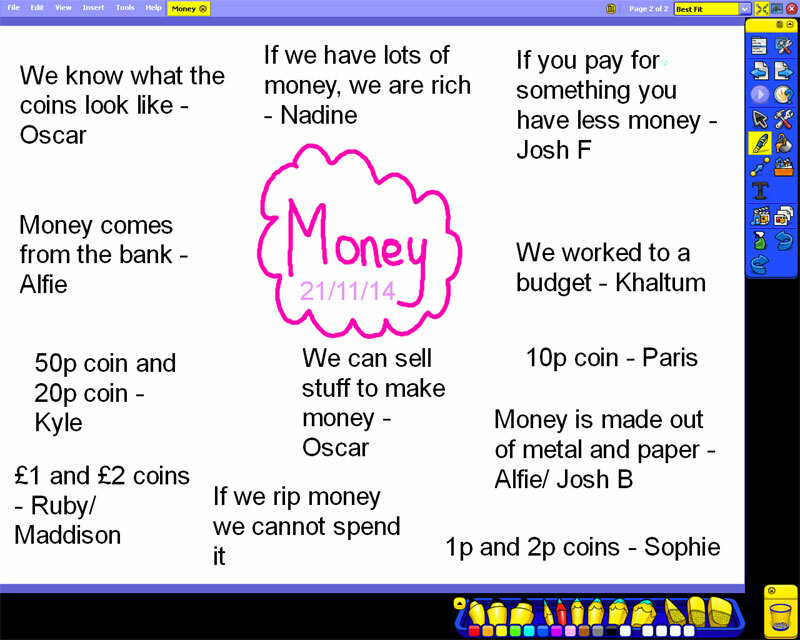 At the start of the week we thought about what we knew about money before we started the topic. 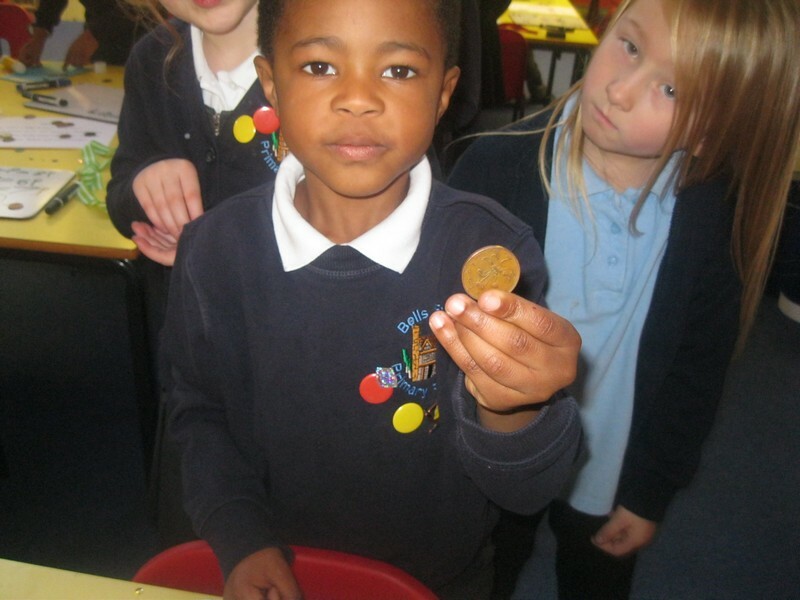 We had lots of ideas about how we used money and where money came from, however we were unsure of what money looked like and the different coins. 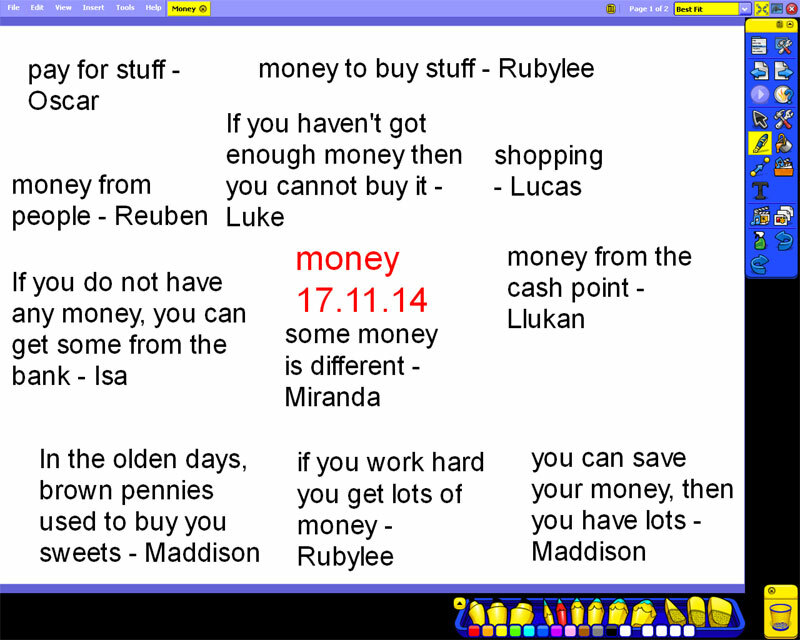 Today we had another think about money, collecting the ideas about what we now know. 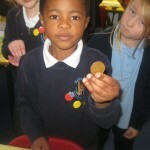 We know lots of information about the different coins and also how and where we use money. 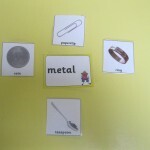 This morning we worked very hard in Science with Miss Bowkett to sort objects into groups depending upon which material they are made of. 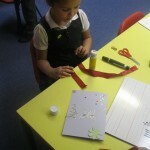 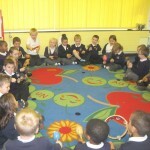 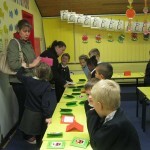 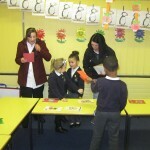 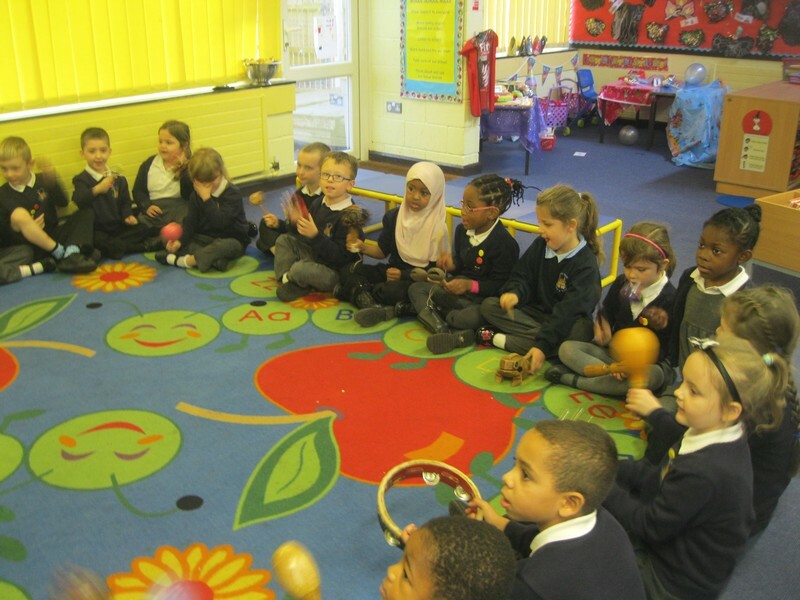 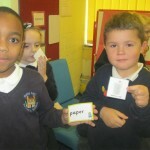 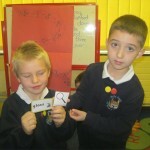 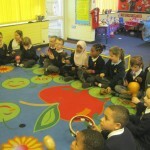 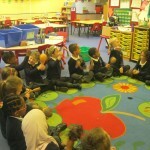 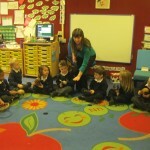 We then worked with a partner and explored the classroom. 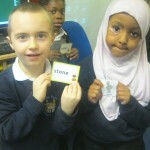 We found lots of different objects made of each material. 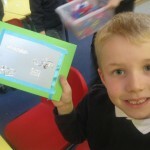 In Maths today we were given a budget to make a celebration card. 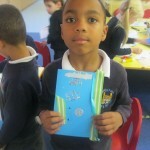 We were given a budget of 15p and 20p to make celebration cards for any celebration we wanted. 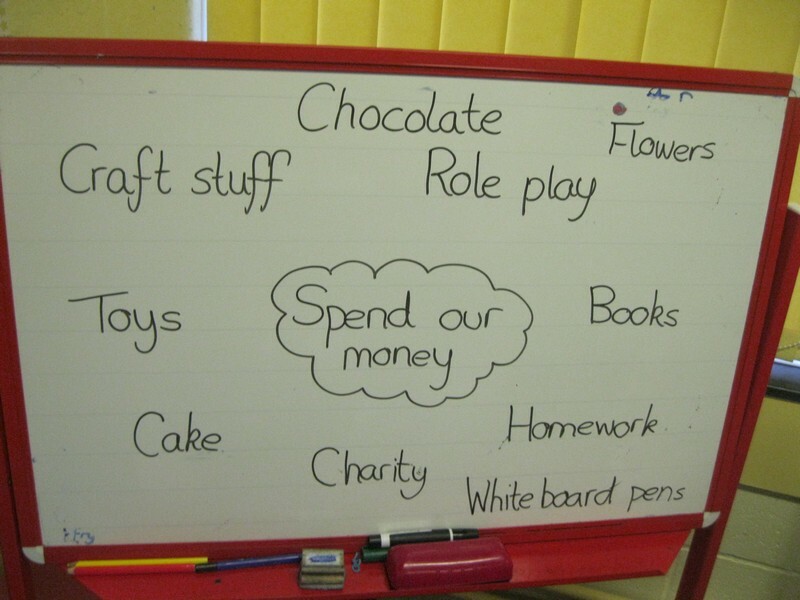 Mrs Jones opened up a shop and gave us a price list. 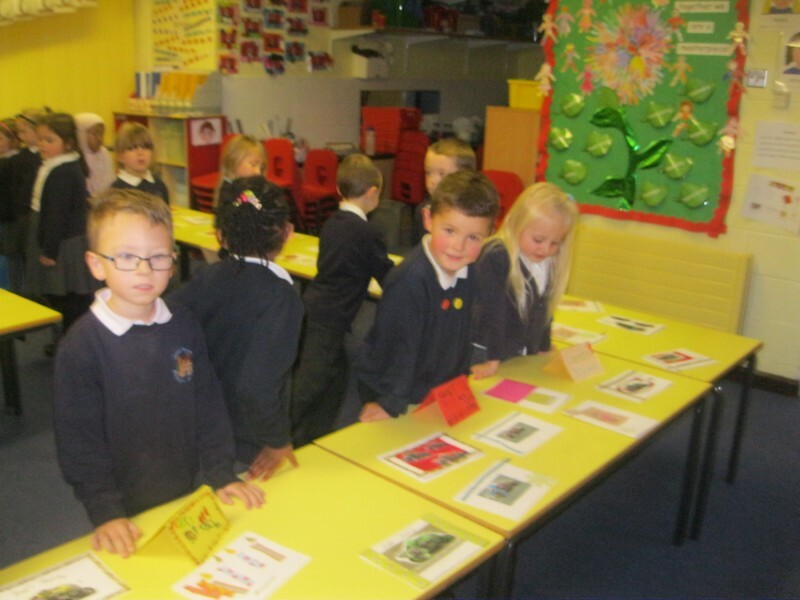 We had to think carefully about what we wanted on our cards as we didn’t want to waste our money. 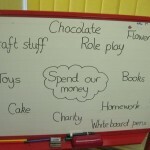 We spent our money well and no-one asked for extra money. 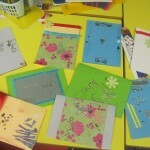 We are very proud of our cards and sticking to budget. 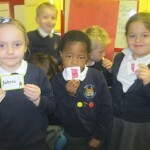 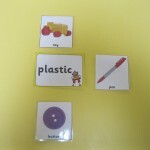 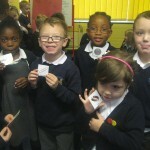 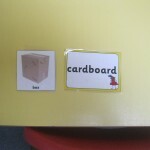 Puffins class have yellow badges! 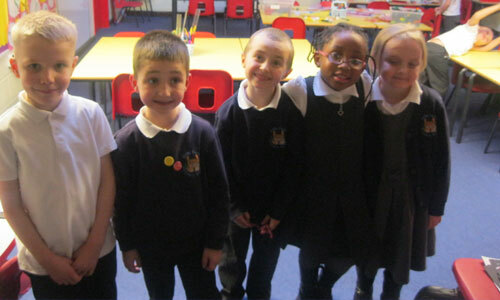 We are so excited to wear our new yellow badges. 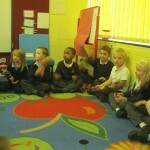 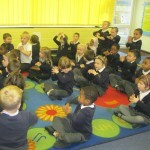 We have so many children that behave so well and we are very proud of each other. 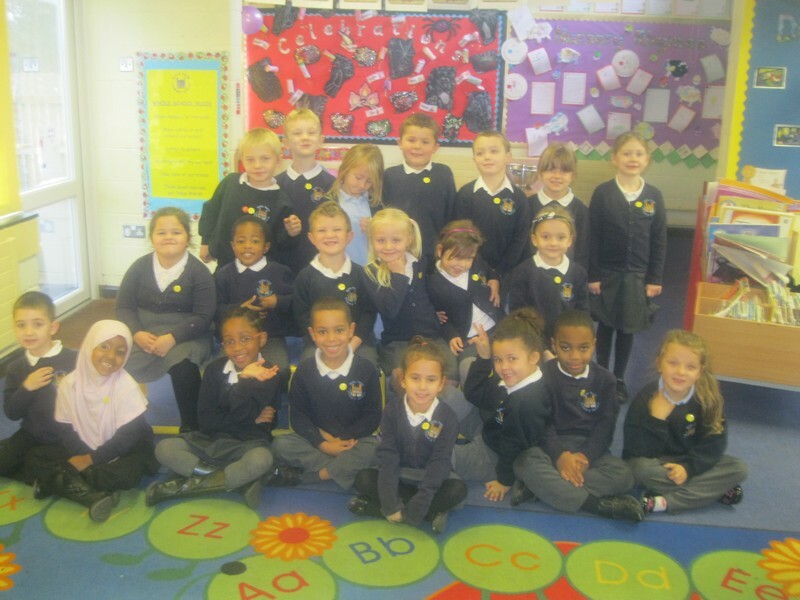 We are looking forward to seeing all of our children wearing their yellow badge with pride. 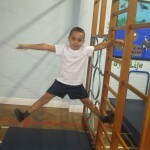 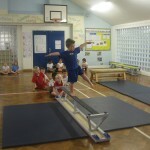 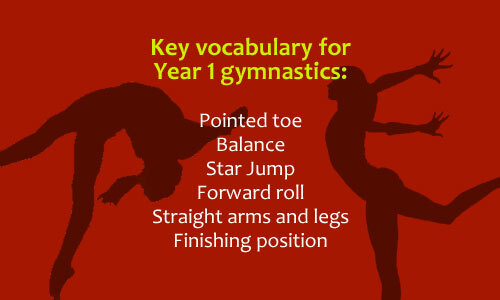 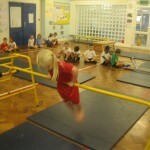 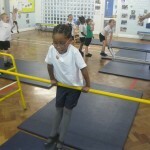 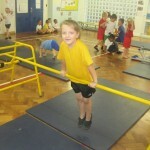 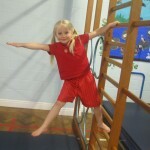 Today in PE we continued to develop our skills in gymnastics. 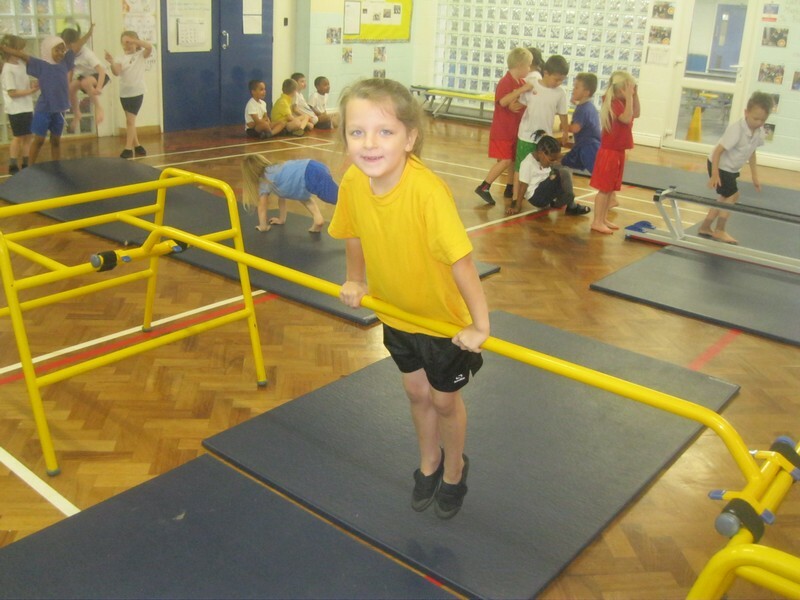 Mr Gill introduced us to some new equipment where can could practise new skills. 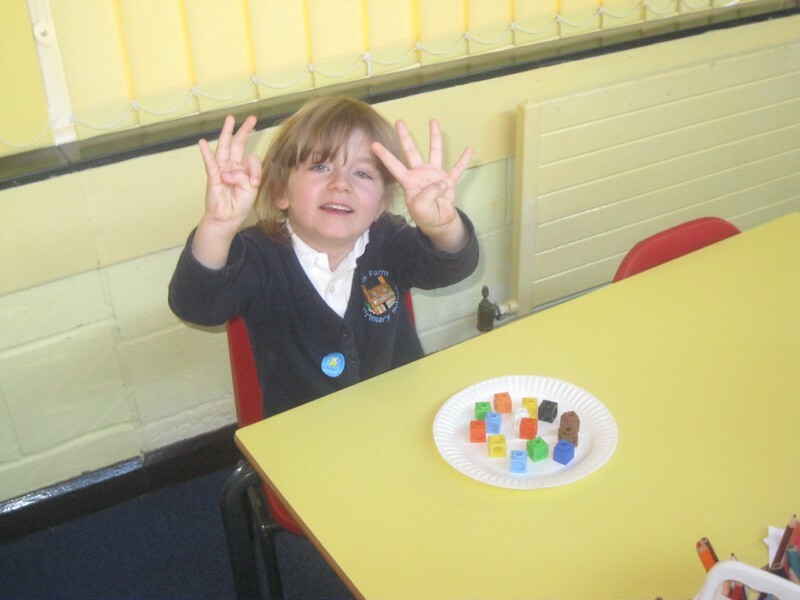 We are continuing to think about our finishing positions.